Individuals with disabilities or medical conditions, and who use medical devices should not think of a Transportation Security Administration (TSA) checkpoint as a barrier to travel. It’s okay to bring along a CPAP machine or a breast pump. Yes, passengers can travel with an insulin pump or an ostomy pouch. If an individual has a temporary medical condition, perhaps a broken leg, it does not prevent that individual from getting through a checkpoint. All travelers are required to undergo screening at the checkpoint. Passengers with a disability or medical condition or their traveling companion may consult a TSA officer about the best way to relieve any concerns during the screening process. Individuals may provide an officer with a TSA notification card or other medical documentation to describe the condition in a discrete manner. Travelers also may request an accommodation to the security screening process. If a passenger with a medical device, medical condition or a disability is approved to use TSA Pre✓®, he or she does not need to remove shoes, laptops, 3-1-1 liquids, belts, or light jackets during the screening process. However, everyone is required to undergo screening at the checkpoint by technology or a pat-down. Also, TSA officers may swab an individual’s hands, mobility aids, equipment and other external medical devices to test for explosives using explosives trace detection technology. Persons with disabilities and medical conditions are not required to remove their shoes if they have a disability or medical condition. However, shoes must undergo additional screening, including visual/physical inspection as well as explosives trace detection testing of the footwear. Travelers may request to be seated during this portion of the screening. TSA has five main resources for travelers with disabilities or individuals who travel with medical devices or medical conditions to ensure that they can get through the security screening process successfully, respectfully and efficiently. They include the TSA Cares helpline, the TSA Contact Center, Passenger Support Specialists, information posted on the TSA web site and an interactive Twitter and Facebook Messenger account. TSA’s toll free helpline, called TSA Cares, enables travelers or families of passengers with disabilities and medical conditions to call 1-855-787-2227 with any questions about screening policies, procedures and what to expect at the security checkpoint 72 hours prior to traveling. The helpline is staffed weekdays from 8 a.m. to 11 p.m. ET and from 9 a.m. to 8 p.m. on weekends and holidays. Injured service members and veterans including individuals associated with the Wounded Warrior Program may contact TSA Cares to help facilitate the screening process. By asking questions on the helpline, travelers arrive at the airport knowing the screening process and procedures that they will experience, thus reducing anxiety of the unknown. The TSA Contact Center is a customer call center that is available to answer questions by email or toll free phone at 1-866-289-9673. Staff is available from 8 a.m. to 11 p.m. weekdays and 9 a.m. to 8 p.m. weekends/holidays; and an automated service is available 24 hours a day, seven days a week. 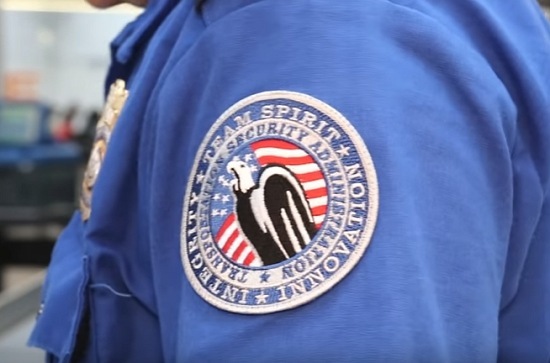 Passenger Support Specialists are highly trained TSA officers at airports who have special training in successfully engaging with, and screening, individuals who have disabilities or medical conditions, or who travel with medical devices. Travelers requiring accommodations to the screening process, or who are concerned about the security screening process at the airport may ask for a Passenger Support Specialist or a Supervisory TSA Officer who can provide on-the-spot assistance. The TSA’s web site has an entire section devoted to traveling with disabilities, medical conditions and medical devices. The link provides a host of information via a drop-down menu that allows viewers of the web page to select detailed information on the specific situation with which they have a question. Situations include traveling with medications; Alzheimer’s, dementia, aphasia or a brain injury; autism or intellectual disabilities, blind or low vision; deaf or hard of hearing; use of external medical devices; implants and use of internal medical devices; mobility disabilities, aids and devices; prostheses, casts, braces or support appliances; recent use of radioactive medication and materials; respiratory equipment; and use of service dogs and animals. A helpful interactive Twitter account, @AskTSA, allows individuals to tweet a question about the screening process for medical devices and for medical conditions, from traveling with a temporary condition (e.g., a cast on a broken arm or leg) to traveling through a checkpoint wearing an ostomy pouch beneath one’s clothing. Travelers with questions about the screening process can contact a TSA employee for live assistance 365 days a year via Twitter. Tweet questions and comments to @AskTSA from 8 a.m. to 10 p.m. weekdays and 9 a.m. to 7 p.m. weekends/holidays. Or, the traveler may send the question to TSA via Facebook Messenger.